Anyway, today I'm doing another online shop feature. 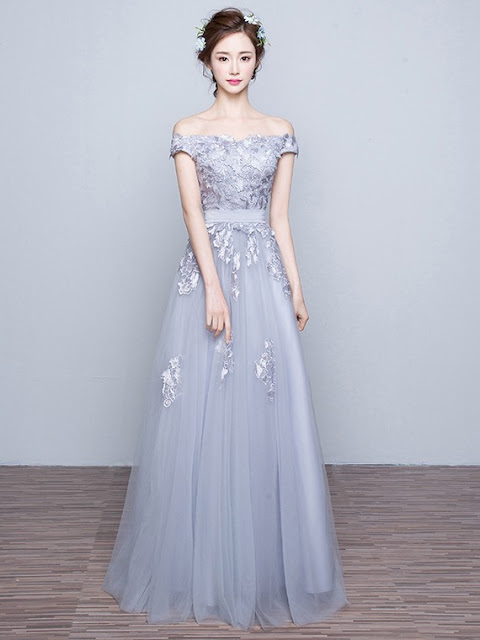 I just saw Beauty and the Beast last weekend and I still got a bit of hangover from the cast's ball gown costumes that I ended up browsing online for inspirations. 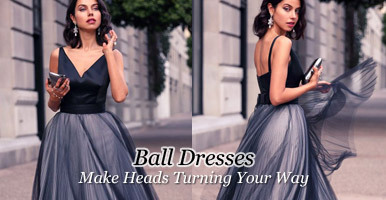 I came across a few websites that sell really nice gowns and thought that I should share some of them to you. 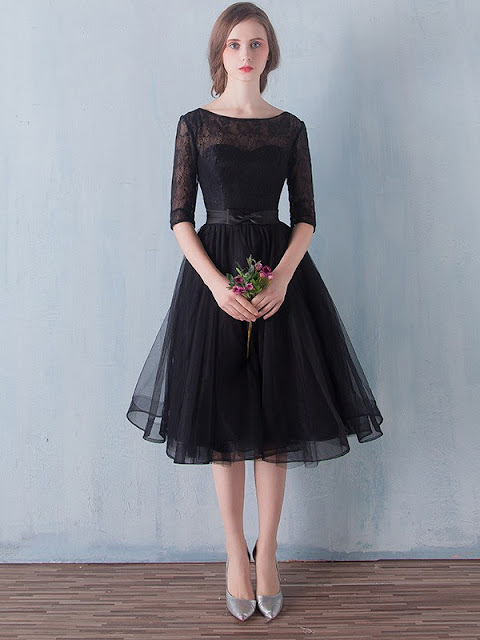 ;) First on my list is Pickedlooks, a dress store based in New Zealand. Tulle and lace are my top favorites when it comes to fabric. These two add glamour to any type of dress in a subtle way and I think no amount of beadwork can replace them. Well, at least for me. I'm not really into beads and stuff. The simpler, the better. The dress above is a good example though I don't think I would be able to wear it cause it's quite too revealing for me (Lol. As if I got something worth revealing). 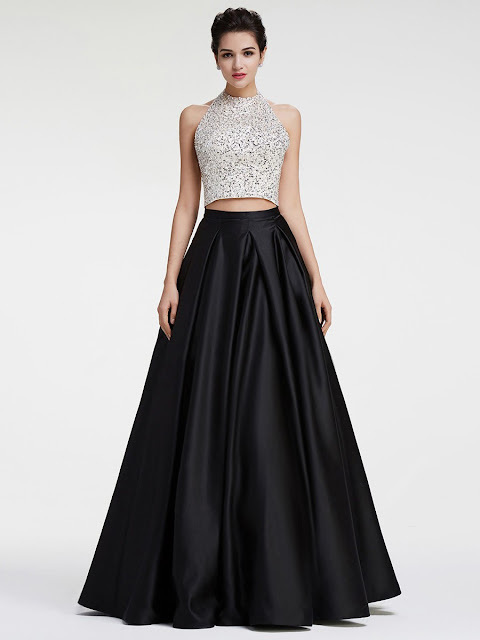 But if you're into low cut v-necklines, then this gown would be a great option. If you don't have the guts to wear a deep v dress (welcome to the club! ), then an off shoulder like the one above would do. Personally, I would choose this cause I like the color, silhouette and embellishments. 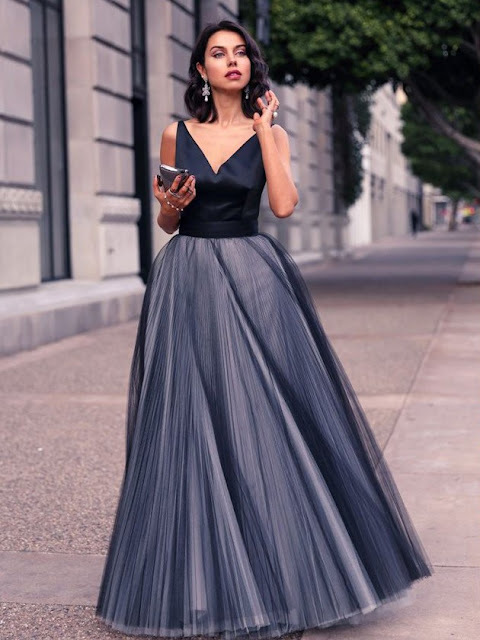 Plus, the fabric is tulle too. These two gowns are just perfect! I don't think they would look good on me but I love the style and cut so much I just had to share. Haha So classy and chic.